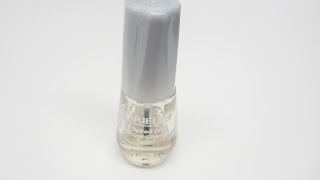 Today i'm sharing some fun additions to my nail polish collection. 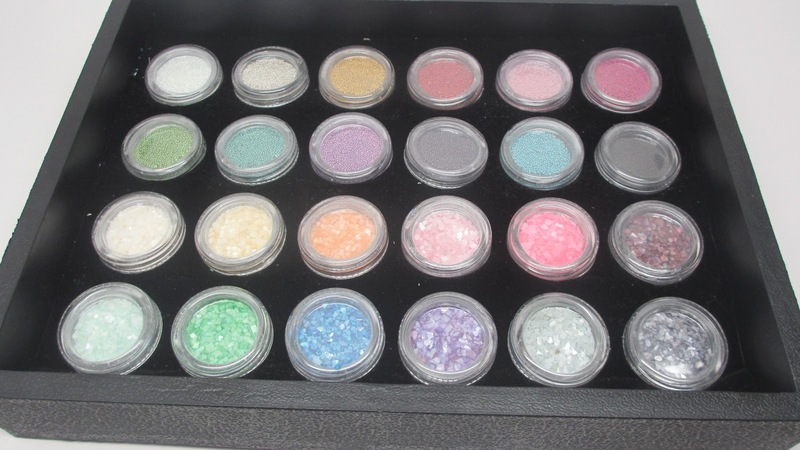 I scored a great deal at this year's Bronner Brother's Hair Show in Atlanta - 24 different kinds of nail flakes/caviar beads for $10! I've come up with a few creations which makes nail polish so much more fun! Here's what I picked up. The vendor appeared to be a random beauty supply store. But you can find these nail flakes and caviar beads online - i'd try eBay or Amazon. You can find them at Sephora as well but I think it's way overpriced. Here I am playing with these products. As you can see you can apply the flakes which look kinda like tiny, shiny stone flecks. Or you can apply the tiny beads also known as nail caviar. I usually paint my nails with whatever color polish I'd like first. Then I let it dry and apply a clear top coat. This is the adhesive I use for the flakes or caviar. Then I'll apply another layer or two of top coat to seal it in. I find that my nails last all week without the little beads or flakes falling off. Have you or would you apply the caviar beads or nail flakes? Let me know in the comments below! Your nails are various colored and looks nice. This is really a good job as everyone can't do that. If you like to use natural beauty products for your skin, then Argan oil should be first priority for this. Pura D’or Argan oil loves to provide pure argan oil products.